The lifetime achievement award is given to an individual who has made an outstanding contribution to the state of the art in wound care during the course of their life. 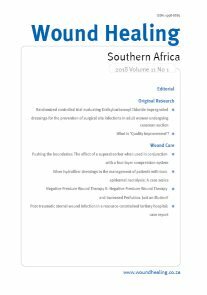 The Wound Healing Association of Southern Africa thereby recognizes those who have achieved academic excellence and/or who have made significant practical contributions to the field of wound care within their communities. The goal of granting the award is to make the excellent work done by people working within the scope of wound care more widely known and to honor their labor and passion.